A judge tightened bail conditions on a South American soccer official charged in the FIFA bribery scandal after prosecutors surprised the courtroom by accusing the defendant of threatening their star witness by making a slashing motion on his neck as the witness testified at trial. The dramatic twist in federal court in New York came after Alejandro Burzaco, a former marketing executive from Argentina, spent the day accusing Manuel Burga and two other soccer official co-defendants of taking bribes in exchange for their help securing broadcasting and hosting rights for tournaments. Burzaco testified that his firm gave Burga, the former president of Peru's soccer federation, $3.6 million in bribes during the course of their relationship. He claimed that when he agreed in 2015 to cooperate against officials charged in the case he became the target of death threats. After news of Burzaco's cooperation broke in Argentina, his brother, a former law enforcement officer, called him with inside information that authorities there had received "an instruction to shut me down," he testified, choking back tears. That meant something needed to be done "for me not to say anything in the U.S., including killing me," he added. Once Burzaco concluded his testimony and the jury had gone home for the day, prosecutors asked U.S. District Judge Pamela Chen to jail Burga, saying he had left Burzaco visibly shaken by twice staring at him and using the slashing motion. A lawyer for Burga claimed his client was merely scratching his throat. The judge stopped short of locking up Burga, instead cutting off his access of phones and computers and placing him under house arrest at a home in Brooklyn. Burga already had been on GPS monitoring but had some privileges to leave the home. The judge said that while one security video of the courtroom was inconclusive, she would return to it on Thursday after reviewing a second tape prosecutors say backs up their claim. "All the facts surrounding this give me grave concerns," the judge said. 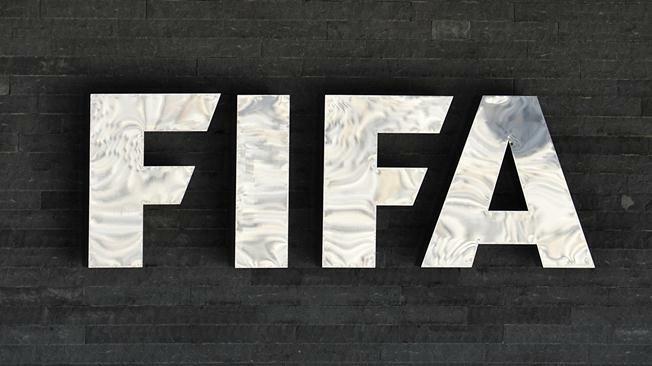 Earlier Wednesday, Burzaco testified that media giants Globo, of Brazil, and Televisa, of Mexico, teamed with a marketing firm to make a $15 million bribe to a FIFA executive to help them secure lucrative broadcasting rights to the World Cup in 2026 and 2030. Burzaco said that the deal was struck with longtime FIFA finance committee chairman Julio Grondona at a 2013 meeting in Zurich. He also has implicated Fox Sports in a separate bribery scheme. Fox and Globo have denied any wrongdoing, while Televisa has declined to comment. None of those media companies is charged in the case. Burga, Jose Maria Marin and Juan Angel Napout have pleaded not guilty to charges they took part in a 24-year scheme involving at least $150 million in bribes that secured broadcasting and hosting rights for soccer tournaments around the globe. Burzaco has testified that, along with the $3.6 million his firm gave Burga, it directed another $4.5 million in bribes to Napout and $2.7 million to Marin. More than 40 other officials, business executives and entities have been charged. Many, including Burzaco, have pleaded guilty in hopes of receiving reduced sentences. One former Argentine government official killed himself Tuesday just hours after Burzaco testified that he, too, was involved in taking bribes. Jorge Delhon, a lawyer who worked in the administration of former Argentina President Cristina Fernandez, jumped in front of a train in Buenos Aires. He had not been charged in the case. A ministry official in Buenos Aires province confirmed the death. The official spoke to The Associated Press on the condition of anonymity because he wasn't authorized to speak on the subject. "I love you all," Delhon wrote in a suicide note to his family, the ministry official told the AP. "I can't believe (what's happening)." Burzaco testified that he bribed Delhon and others in exchange for TV production rights to soccer matches. In other testimony Tuesday, Burzaco told the jury how Grondona, who died in 2014, claimed in several conversations that he was owed millions of dollars for his 2010 vote as a member of FIFA's executive committee that helped Qatar land the World Cup, soccer's most prestigious tournament. The account appeared to back up persistent suspicions that the Qatar vote was rigged and that the influence of Grondona, the senior vice president at FIFA and head of the Argentinian football association, was for sale. Burzaco also seemed to confirm long-held allegations that FIFA bidding rules were broken by a vote-trading pact between Qatar's bid for 2022 and the joint Spain-Portugal bid for 2018 hosting rights that Russia eventually won. After Qatar's vote victory, beating the United States in a final round ballot, unproven allegations were made that Qatar paid the Grondona-led Argentine soccer federation tens of millions of dollars. Burzaco said in court he could not verify the truth of allegations about Qatar. Defense lawyers are set to cross-examine Burzaco on Thursday.